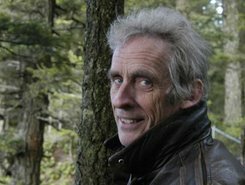 Roger Spottiswoode (Tomorrow Never Dies, Shake Hands with the Devil, Turner and Hooch) will direct Dominic Morgan and Matt Harvey’s film script HYPERBARIC. Rick Benattar and Nigel Thomas are producing the film for Mythic Entertainment and Matador Productions. HYPERBARIC is a psychological thriller set on a ‘narco-submarine’, the crudely assembled vessels notoriously used by South American drug dealers to ferry narcotics without attracting the attention of the coast guard. The tense chamber piece follows four strangers, all with their own dark pasts, as they are forced to work together aboard a rickety submarine to smuggle a hugely valuable cargo of cocaine into the US. HYPERBARIC is the third Morgan and Harvey screenplay to be set up in the last year, following THE BRIDGE (in development with Paradox, Simon West attached to direct) and THE CONTROLLER (Winkler Films and the Solution, with James McTeague attached to direct). Roger Spottiswoode’s latest film, MIDNIGHT SUN, a family adventure about a boy’s friendship with a polar bear cub, will be released later this year.